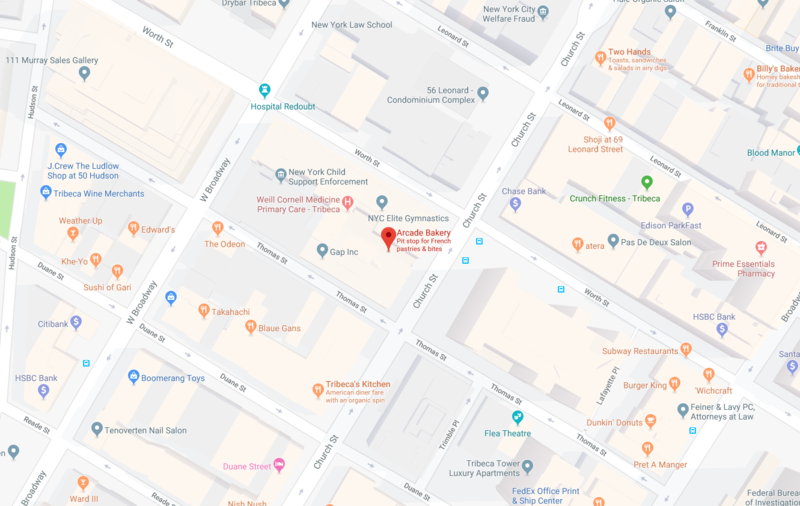 If you’re in New York City and are pining for some authentic, delicious French bread and pastries, Arcade Bakery is where to go. This small establishment opened in 2014. The owner and head baker is a former TV producer and got his training from years spent in France as well as working for other bakeries. Arcade sells bread, pastry, pizzas, and sandwiches from inside a century-old building on Church Street in New York City. The bakery is essentially located off a long hallway that flows down from the building’s entrance, which boasts an arcade of decorative arches. The founder of Arcade has a family who owns and maintains the building. The bakery’s location used to be a deli, so when the space opened up, he jumped on it, knowing it would be already outfitted with a kitchen. Seating for the bakery is located along the hallway lobby, inside wood-paneled wall pockets with fold-down tables. It’s a totally unique setting that you have to see to believe. The baked goods on offer are served hot from the oven and include French baguettes, croissants, pain au levain, various patisserie, and brioche. There are often bread loaves, like sourdough and wheat, and even flavored, laminated baguettes – that is, baguettes wrapped in croissant dough. Specialties are the flavored babka slices and the pizzas, which you can get with basil, tomato, and mozzarella or classic pepperoni slices, as well as seasonal toppings. In general, Arcade specializes in yeasted pastries and bread, so you won’t find any cake or cookies here. What you will find: Some of the best baguettes and croissants in the entire city. Arcade is a French bakery, but they also have a few surprises up their sleeves. 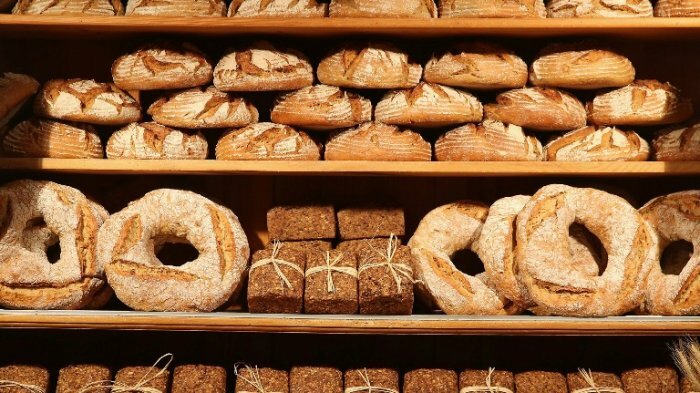 Here you can purchase some of the best bread in the city, but there are a few twists on classics that are delicious, too. Above all, Arcade is known for its heavenly French bread and patisserie offerings. First up are the croissants and baguettes. These aren’t your ordinary, plain specimens, although you can certainly get those here, too. At this bakery, you’re more likely to get laminated baguettes (those aforementioned baguettes encased in buttery croissant dough) and flavored baguettes, like the owner’s special vanilla, pear, and buckwheat baguette. This baguette is speckled with dried pears and has just enough vanilla to smell heavenly and add flavor. The result is not too sweet, only slightly so, and would be perfect with some brie. Along with baguette creations, Arcade has both sweet and savory croissants that are the epitome of flaky and buttery. Get an almond or chocolate almond croissant and you’ll feel like you stepped straight into a Parisian boulangerie (French for bakery). The selection changes all the time, but on any given day you might find variously flavored danishes, incredible sweet brioches, including caramel apple and lemon sugar, and more French fancies gracing the bakery case. Another of Arcade Bakery’s specialties is their babka. 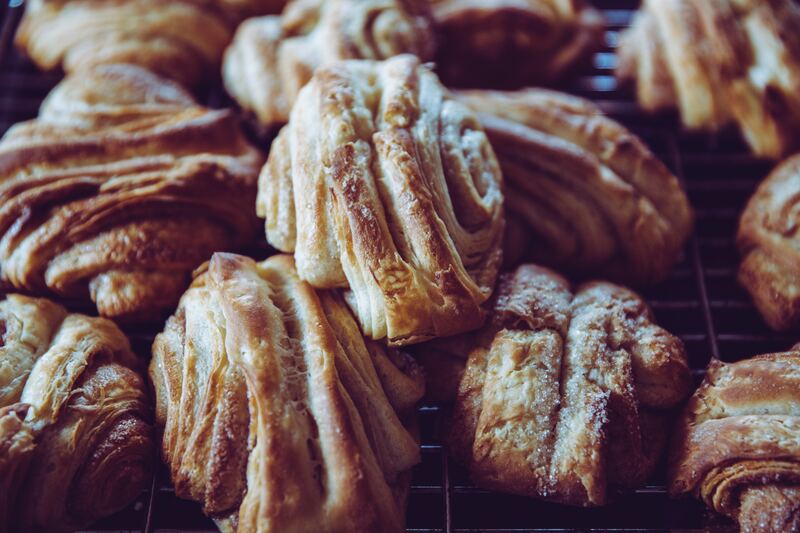 This pastry is mainly attributed to Poland, Ukraine, and Russia, and features laminated yeast dough that has been twisted and baked in a high pan. Laminated dough is a type of dough that has been rolled out with a layer of butter. These two original layers are rolled, folded, turned, and rolled again multiple times. The end result is a dough with dozens of thin layers of butter sandwiched between layers of dough. When it bakes, it puffs up into flaky layers. In the U.S., this is often called puff pastry. As you can imagine, Arcade’s babka is fluffy, airy, and not-too-sweet. They also create flavored babka that has become quite popular. 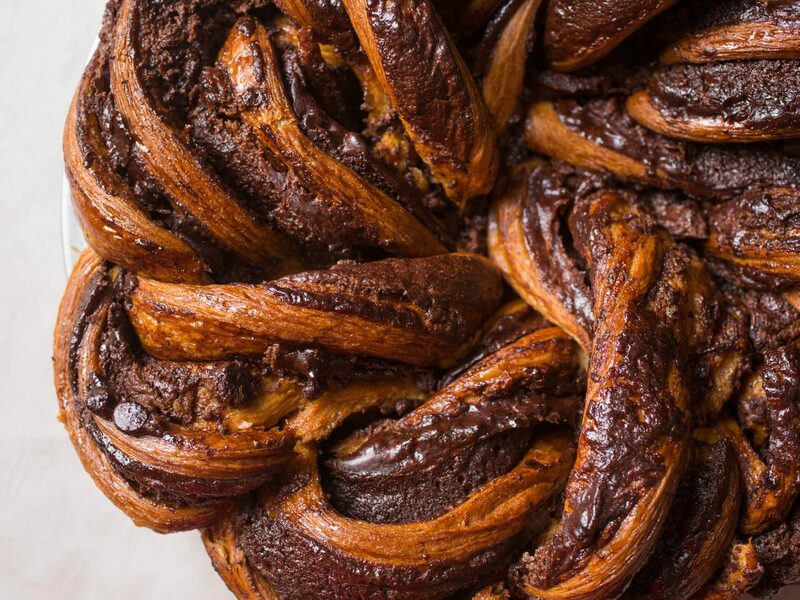 The most sought-after might be whiskey-pecan, but there’s also chocolate babka and poppy seed babka to tempt you. Arcade sells each by the slice. As a bakery that specializes in bread and yeast doughs, of course, Arcade also makes and sells bread loaves you can take home and slather with your favorite sandwich toppings or spreads. There are the simple loaves, like the sourdough, but there are also loaves of focaccia, plain baguettes, and bread made with whole wheat flour and buckwheat. All of the homemade bread is also used to make Arcade’s signature sandwiches. The types you will find change seasonally, but they’re always served on fresh slices of bread that were baked that very day. If you want to pretend you’re in France, order the baguette with ham, Comte cheese, and salted butter. Vegetarians will rejoice at the veggie sandwich served on sourdough that comes loaded with eggplant, caramelized onions, chickpeas, and roasted carrots. He started his baking journey by buying fresh pizza dough and making pizzas. Eventually, he forayed into making his own pizza dough from scratch. 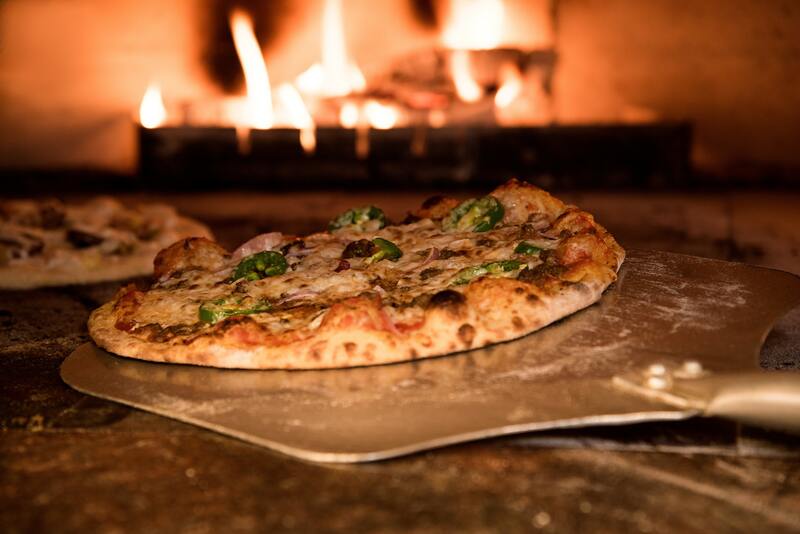 He perfected his recipe, and that’s the dough they use to make simple yet amazing pizzas in the bakery. There aren’t many options for pizza toppings, but there don’t need to be. The dough, once baked, puffs up a bit at the edges and gets crisp in all the right places. When you bite in, you get an initial crunch that gives way to chewiness that melts in your mouth. You can get a classic Margherita pizza with tomato sauce, fresh basil, fresh mozzarella, and tomatoes, or you can get sliced pepperoni with sauce and cheese. Seasonal pizzas are available, too, like the summery version with fresh sliced peaches, arugula, goat cheese, and caramelized red onions. The prices at this bakery are standard for a high-quality French bakery in New York City. Baguettes can range from $1.50 for a plain version to $3 to $4.50 for the flavored varieties. Pastries and laminated dough are pricier because they require far more work and preparation. Babkas sold by the loaf can range from $8 to $12, while slices may set you back $3 or $4. Plain yeasted rolls usually sell for $1, and pretzel rolls go for $3. Arcade Bakery’s pizzas are sold at $9 a pop. Their sandwiches also range from $8 to $9. Slices of brioche, as well as sweet/savory croissants, range in price from $3.50 to $5. Online ordering isn’t available for bread and pastries. However, you can order pizzas online between the hours of 11:45 a.m. and 3 p.m. (or until they run out of pizza dough – whichever comes first). Most people stop in to grab a bite to eat for breakfast or lunch or to have coffee and a pastry with friends and family. It’s best to ask an employee if they do special orders, as there is no mention of their policy on their website. No doubt about it – this little bakery is one of the best in New York City. Customers rave over the pizza, bread, pastries, and sandwiches. On top of their fabulous array of baked goodies that come fresh from the oven on a regular rotation throughout the day, Arcade also offers a full selection of coffee and tea beverages. Settle in with a cup of loose leaf Earl Grey tea and an almond croissant, or get a piping hot cup of joe to sip along with your slice of babka. 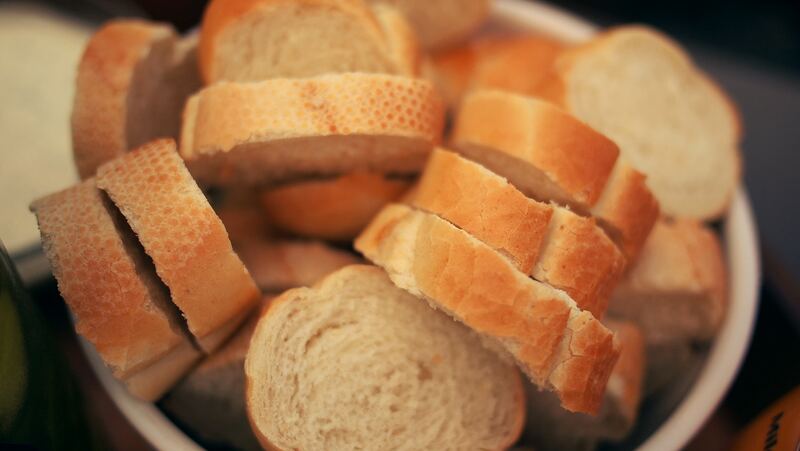 If you want to live life a little bit on the French side, stop by daily to pick up fresh rolls or baguettes to serve with dinner. 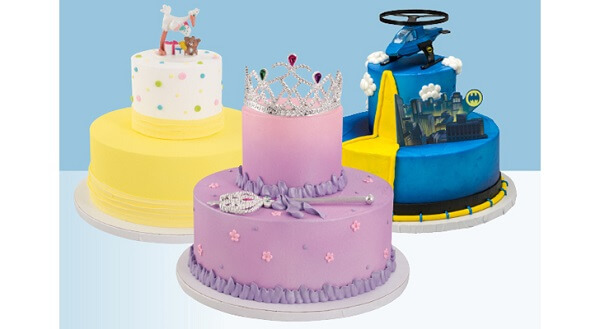 In fact, the owner operates the bakery on the premise of small stock, high demand. This way, when you walk up to the counter, you know every single item sitting behind the glass display case was made fresh that day. 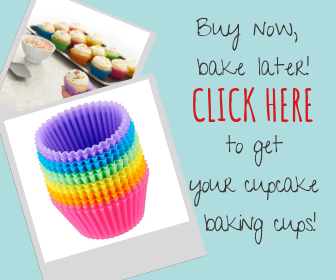 More often than not, you’ll be able to purchase your baked goods not long after they have slid out of a toasty oven. There’s something incredibly satisfying about walking home with a few loaves of warm bread under your arm. The smell alone will make you glad you visited Arcade Bakery.